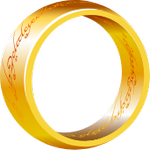 Middle-earth, LOTR, Hobbit, One Ring and The Lord of The Rings, and the characters, places, items and events therein are trademarks of The Saul Zaentz Company d/b/a Middle-earth Enterprises and are used with permission by Red Carpet Tours. Red Carpet Tours are the leaders in The Lord of the Rings movie tours. Join us on our next journey and be a part of a fellowship of like-minded people through breath-taking Middle-earth, New Zealand. Our team is here to make your dream a reality. You don’t have to know the film script backwards to thoroughly enjoy our experience! The tours are popular with all types of visitors who are looking to explore New Zealand, find some epic adventures and make good friends along the way. Our New Zealand Lord of the Rings tours include movie locations from Hobbiton and Mordor in North Island, to Laketown and Edoras in South (and much more). Many of these beautiful places are instantly recognizable in real life. Our Lord of the Rings New Zealand tour options range from 6 to 14 days long and feature many of the key filming locations made famous by the movie trilogies.